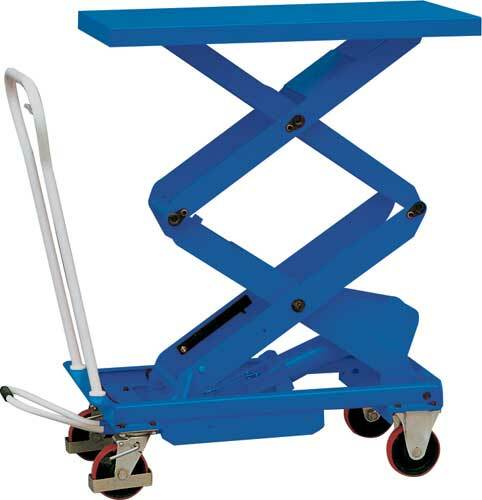 These practical and economical portable lift tables provide a convenient and cost saving solution to numerous material handling situations. The perfect answer for order picking, die handling, assembly operations or use as an efficient delivery cart. The Maxx-Mini Lifters are designed to reduce employee injuries and increase productivity. With ten different models from which to choose, the Maxx-Mini Lifters have proven to be indispensable in all material handling operations. Ranging in capacities from 330 lbs. up to 2,200 lbs., they can handle virutally any job, big or small.